Take US 27 N to Whitley City. 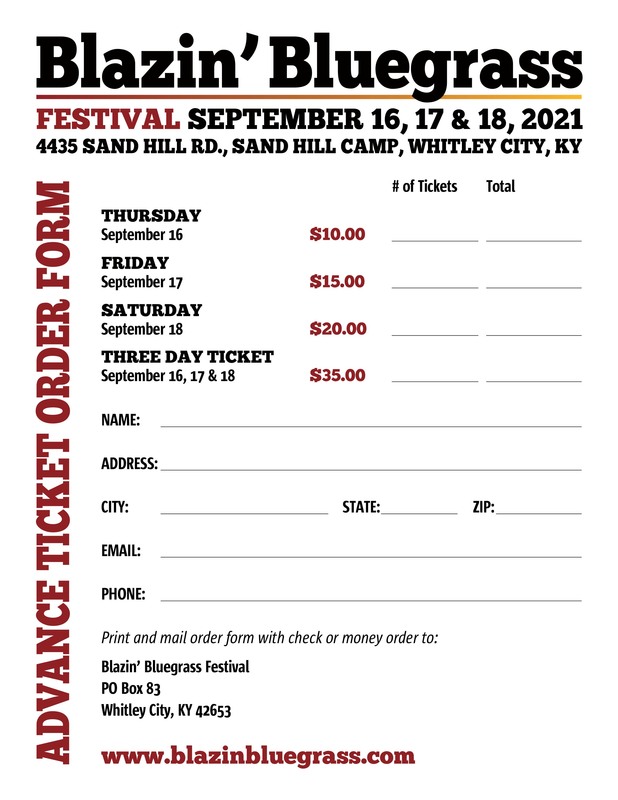 Turn RIGHT onto KY 700 and drive 4.5 miles to the Blazin Bluegrass Festival (Sandhill RV Camp). Take US 27 S to Whitley City. Turn LEFT onto KY 700 and drive 4.5 miles to the Blazin Bluegrass Festival (Sandhill RV Camp). Take KY 25 W 10 miles to KY 90 W. Drive 11 miles and turn LEFT onto KY 700. 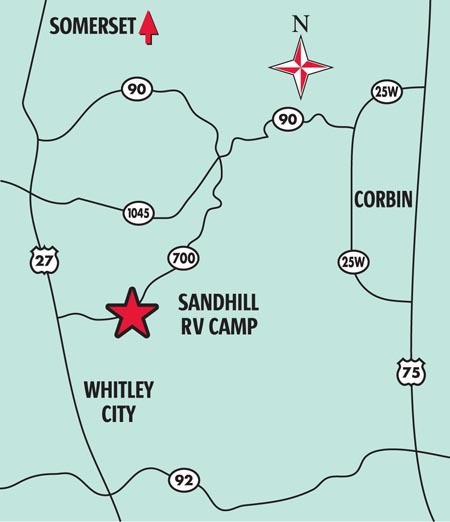 Drive 3 miles to the Blazin Bluegrass Festival (Sandhill RV Camp).